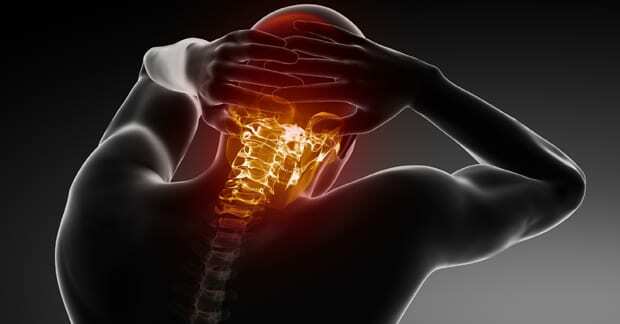 Last month, we began discussing common myths about whiplash injuries and this month we will continue on that course. Remember, the amount of injury that occurs in an acceleration/deceleration injury is dependent on many factors, some of which include gender (females>males), body type (tall slender = worse), the amount of vehicular damage (less is sometimes worse as the energy of the strike was not absorbed by crushing metal), head position at the time of impact (rotation is worse than looking straight ahead), and more. Therefore, each case MUST be looked at on its own merits, not just analyzed based on a formula or accident reconstruction. MYTH #5: THERE MUST BE DIRECT CONTACT WITH THE NECK FOR INJURY TO OCCUR. Injury to the neck most commonly occurs due to the rapid, uncontrolled whipping action of the head, forcing the neck to move well beyond its normal range of motion in a forwards/backwards direction (if it’s a front or rear-end collision) or at an angle if the head is rotated or when the strike occurs at an angle. When this happens, the strong ligaments that hold the bones together stretch and tear in a mild, moderate, or severe degree, depending on the amount of force. Once stretched, increased motion between the affected vertebra results as ligaments, when stretched, don’t repair back to their original length and just like a severe ankle sprain, future problems can result. This excess motion between vertebra can lead to an accelerated type of arthritis and is often seen within five years following a cervical sprain or whiplash injury. MYTH #6: SEAT BELTS PREVENT WHIPLASH INJURIES. It’s safe to say that wearing seat belts saves lives and it’s the law —so WEAR YOUR SEAT BELT! Seat belts protect us from hitting the windshield or worse, being ejected from the vehicle. But, as far as preventing whiplash, in some cases (low speed impacts where most of the force is transferred to the car’s occupants), the opposite may actually be true. (This is not an excuse to not wear a seatbelt!) The reason seat belts can add to the injury mechanism is because when the chest or trunk is held tightly against the car seat, the head moves through a greater arc of motion than it would if the trunk were not pinned against the seat, forcing the chin further to the chest and/or the back of the head further back. The best way to minimize the whiplash injury is to have a well-designed seat belt system where the height of the chest harness can be adjusted to the height of the driver so that the chest restraint doesn’t come across the upper chest or neck. Move the side adjustment so the chest belt crosses between the breasts (this also reduces injury risk to the breasts) and attaches at or near the height of the shoulder (not too high). Another way to prevent whiplash is to position the head restraint high enough (above the ears typically) and close to the head (no more than ½ to 1 inch) so the head rest stops the backwards whipping action. Also, keep the seat back more vertical than reclined so the body doesn’t “ramp” up the seat back forcing the head over the top of the head restraint.